Finally, I can reveal to the world the face of all our hard work over the last year! Drum roll please…. 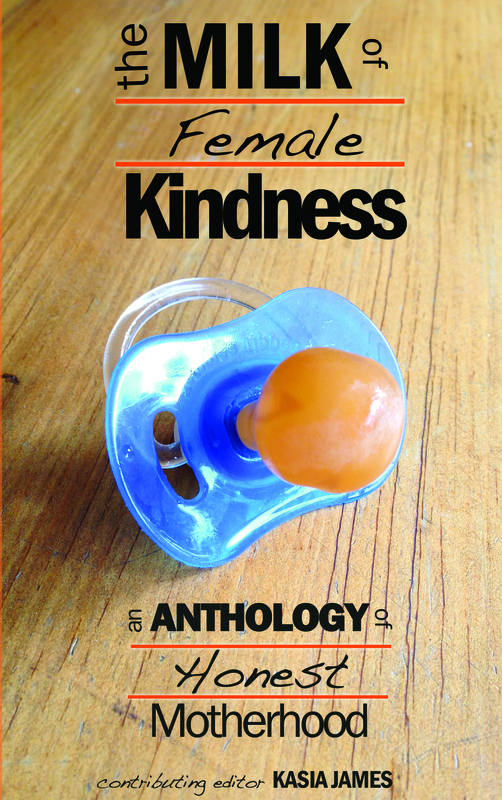 Here is the cover of our anthology of honest stories about motherhood – ‘The Milk of Female Kindness’. Unlike most other books on the subject, we have a creative focus – there is artwork, poetry, short fiction, essays and interviews. The collection is deliberately diverse, in all senses. All stages of motherhood are reflected, and really the aim is to broaden the range of stories out there, and allow women to think for themselves what it means to be a mother, rather than relying on the shallow and market focused roles that the media might like to push us into. You may disagree with some of the work: others pieces will resonate with you. Whatever happens, it will make you think more deeply about being a parent. The book will be released in paperback first, with e-book to follow soon after. Stay tuned for developments! This entry was posted in Books, feminism, marketing, Milk of Female Kindness, publishing, Social, writing and tagged anthologies, anthology, Book, book cover, Books, children, Creativity, e-book, feminism, Fiction, honesty, Literature, mother, motherhood, parenting, Publishing, Short Stories, Writer, writing. Bookmark the permalink. I’m a proud contributor to this fabulous anthology and global collaboration. Thanks to Kasia James for pulling this together. Stay tuned for publication information. Would you like like to add ‘The Artemis Effect’ to your Goodreads list?